We should applaud those who brought the truth to light. A view of the Exxon Mobil refinery in Baytown, Texas. Sept. 15, 2008. Coal, oil and gas are tremendous resources: solar energy absorbed by plants and super concentrated over millions of years. They're potent fuels and provide ingredients for valuable products. But the oil boom, spurred by improved drilling technology, came at the wrong time. Profits were (and still are) the priority — rather than finding the best, most efficient uses for finite resources. In North America, governments and corporations facilitated infrastructure to get people to use oil and gas as if they were limitless. Companies like Ford built cars bigger than necessary, and although early models ran on ethanol, the oil boom made petroleum the fuel of choice. Public transit systems were removed and governments used tax revenues to accommodate private automobiles rather than buses and trains. The oil industry fulfilled many of its promises and became the main driver of western economies. It increased mobility and led to job and profit growth in vehicle manufacturing, oil and gas, tourism and fast food, among others. Petroleum-derived plastics made life more convenient. A vehicle exits an Exxon Mobil Corp. gas station at night in Dallas, Texas, on Monday, July. 24, 2017. Are these unintended consequences? When did people learn burning large quantities of fossil fuels might be doing more harm than good? Evidence suggests scientists, governments and industry knew all along there would be a steep price to pay for our excesses. There's a reason for that: According to volumes of research by journalists, investigators and academics — including a new peer-reviewed study — some of industry's largest players have long been deceiving the public about climate science. "'Our findings are clear: Exxon Mobil misled the public about the state of climate science and its implications.'" The new study, by Harvard's Geoffrey Supran and Naomi Oreskes and published in Environmental Research Letters, analyzes 40 years of research and communications by Exxon Mobil. 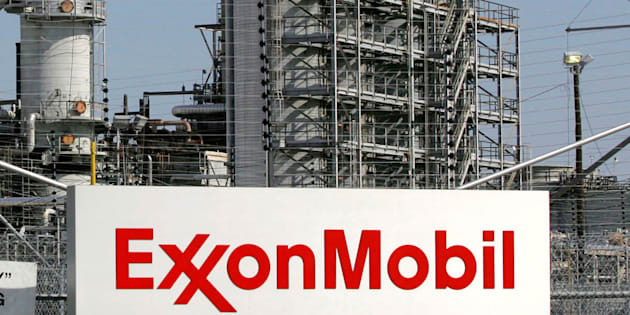 "Our findings are clear: Exxon Mobil misled the public about the state of climate science and its implications," Oreskes and Supran write in a New York Times opinion article. "Available documents show a systematic, quantifiable discrepancy between what Exxon Mobil's scientists and executives discussed about climate change in private and in academic circles, and what it presented to the general public." Taking up Exxon's challenge to "read all of these documents and make up your own mind," the researchers examined the company's scientific research, internal memos and paid public-facing "advertorials." They concluded that, although the company knew of and communicated internally about their product's climate impacts and the danger of it becoming a "stranded asset," it told the public a different story. Darren Woods, chairman and chief executive officer of Exxon Mobil Corp., smiles during the 2017 CERAWeek by IHS Markit conference in Houston, Texas, U.S., on Monday, March 6, 2017. Exxon placed paid opinion articles in The New York Times between 1989 and 2004, at a cost of US$31,000 each. Contrary to the company's own research and internal communications — as well as overwhelming scientific evidence from around the world — the articles argued, among other things, that, "The science of climate change is too uncertain to mandate a plan of action that could plunge economies into turmoil," and, "We still don't know what role man-made greenhouse gases might play in warming the planet." Oreskes and Supran also note Exxon is being sued by current and former employees and investigated by the New York and Massachusetts attorneys general and the U.S. federal Securities and Exchange Commission. Much relates to whether the company "misled consumers, shareholders or the public about the environmental or business risks of climate change, or about the risk that oil and gas reserves might become stranded assets that won't be developed, affecting shareholder value." Given climate change's serious implications, the fact that fossil fuel companies, aided by compromised governments and shady "think tanks" and media outlets, would put fossil fuel profits ahead of human health and survival is an intergenerational crime against humanity. We should commend Oreskes and others for their tireless efforts to bring this truth to light.